Google the “history of mixed martial arts.” Sometimes, the name of action star Bruce Lee pops up. Other times, it might be Art Davie, who created the Ultimate Fighting Championship in 1993. But for practical purposes, a couple of guys from the Pittsburgh area got there first. At 9 p.m. Friday, Showtime will premiere “Tough Guys,” a documentary feature that revisits the “City of Champions” era — one that spawned a series of streetfighter-type competitions. In spirit, if not legally, it was the grassroots beginnings of MMA. “For me, growing up in the ’80s in Pittsburgh, I had no idea any of this existed,” said Craig DiBiase, a Peters Township High School grad and producer of the film. His New York-based MinusL production company financed “Tough Guys,” and one of its directors, Henry Roosevelt, co-directed with William Zullo. 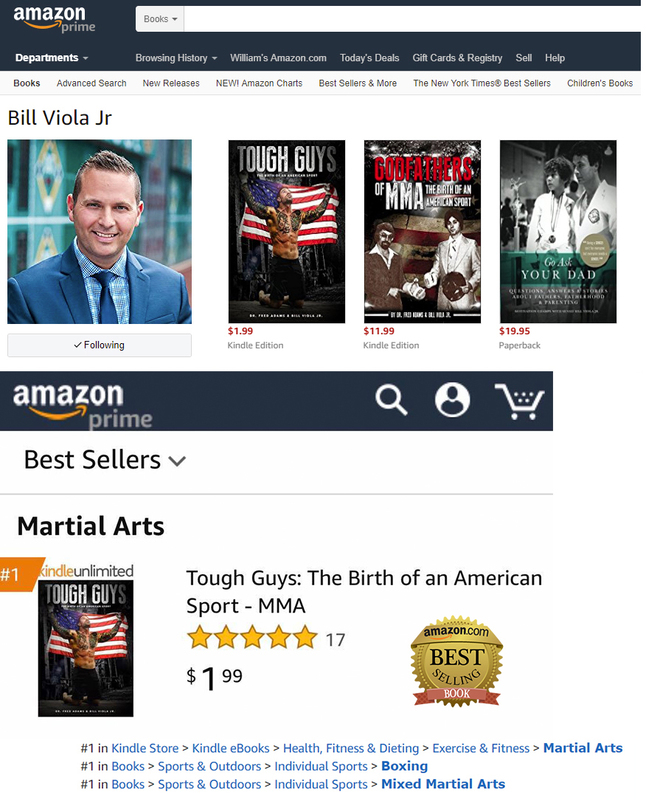 “Tough Guys” is a sideburn-wearing stroll through the evolution of bikers, bouncers and steelworkers brawling for cash, honor and the sheer thrill of beating each other up. 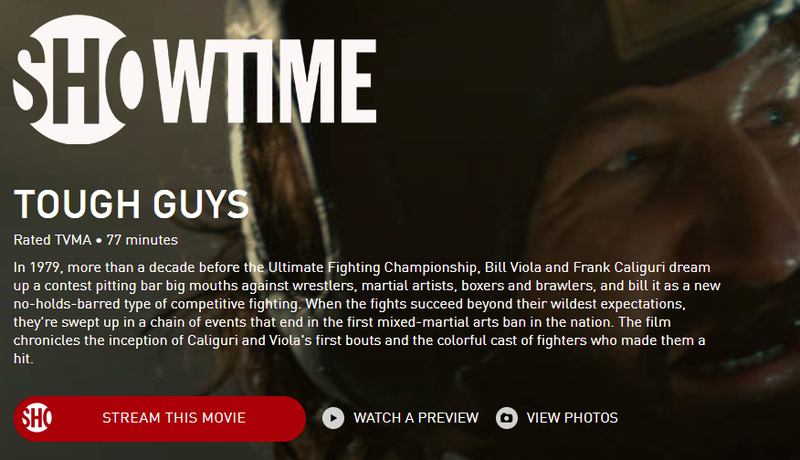 At the beginning of the film, karate promoters Bill Viola, who grew up in Brownsville, and Frank Caliguri, of Arnold, talk about the night they laid the groundwork for their tough guy competitions. “Some great ideas start in laboratories. Some start in classrooms. But ours started at America’s diner: Denny’s,” Mr. Viola said. They’d seen all sorts of bar fights and, as martial arts experts, were familiar with various forms of self-defense. What might happen if you put boxing, wrestling and martial arts together? Even better, what would happen if the participants were amateurs, fighting mainly for pride and street cred? Would anyone come to watch? Resoundingly yes: more than 3,500 fans crammed the 2,000-seat ballroom at the New Kensington Holiday Inn. Mr. Viola and Mr. Caliguri put up posters recruiting “tough men” to compete in a three-day event beginning March 20, 1980. With $6,000 in prize money available, the response was great. Three secretaries were hired to handle the flood of entries. These were fighters like Dave Jones, a kickboxer and road laborer; Mike Murray, a car salesman, and Danny “Mad Dog” Moyak, a construction worker with a wild Charles Manson beard. “Tough Guys” competitions had a loose set of rules (no eye-gouging, biting or “kicking anyone in the jewels”). Knocking out your opponent helped get you to the next round. Competitors wore boxing-style headgear as well as padded footwear and gloves for safety. That didn’t entirely prevent injuries: one, Frank Tigano, a steelworker from Braddock, broke his jaw but still competed the following month. There would be other, bigger events, such as the regional finals at the old Stanley Theatre in Downtown Pittsburgh, now the Benedum Center. But according to the film, death in the ring involving a rival promoter’s event would lead to Pennsylvania legistlators banning the sport. Based on a story idea by Robert Zullo, a former Pittsburgh Post-Gazette writer, “Tough Guys” was shot in Pittsburgh and the surrounding area, as well as parts of New York and New Jersey. 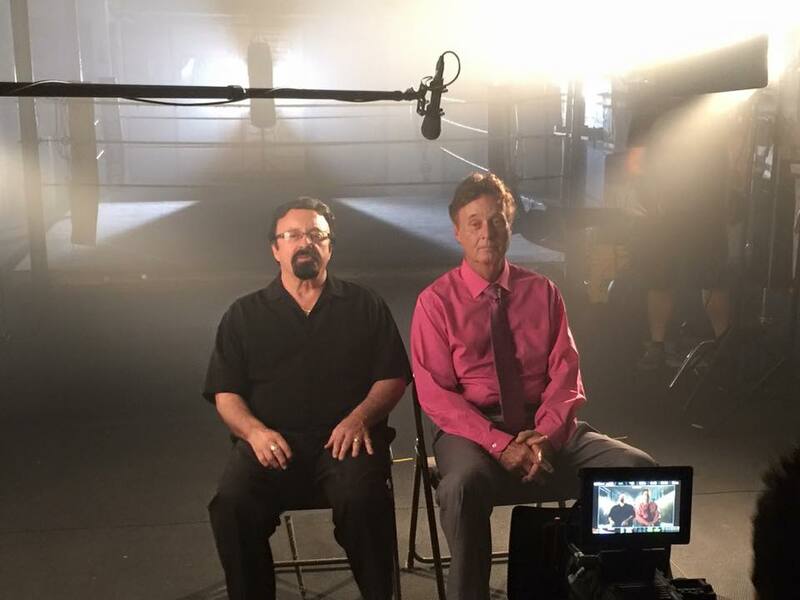 Besides Mr. DiBiase, at least another key player in making the documentary has Pittsburgh ties. Brad Grimm, director of photography, is a Monroeville native working in New York City. Robert Zullo, father of the writer and director, even played Monroeville’s legendary boxing promoter Al Monzo in one re-creation scene. Executive producers include Morgan Spurlock (the Oscar nominated “Supersize Me”) and Ross Kauffman (who won an Oscar for “Born Into Brothels”). 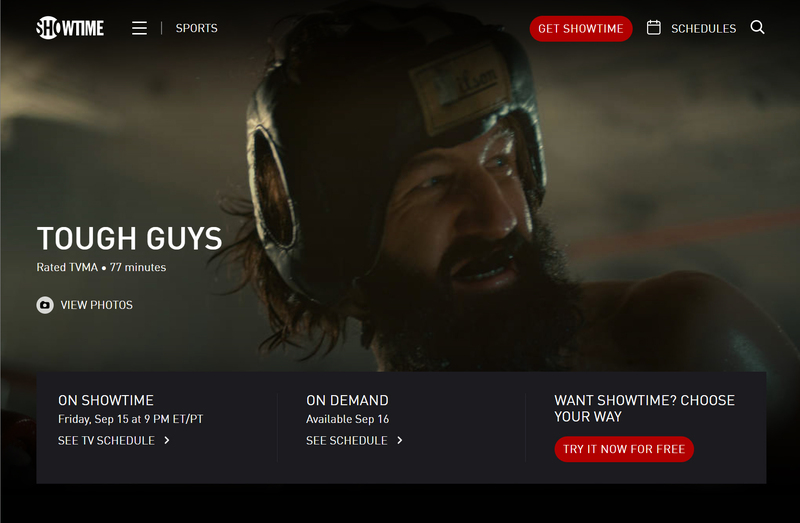 “Tough Guys” had its cinematic debut in June, when it played to a sold-out crowd at the American Film Institute’s Docs festival. A free, public showing is set for 9 p.m. Friday at the Palace Theatre in Greensburg. In an early scene, Mr. Jones, the kickboxer, is duking it out with Mr. Murray, the car salesman. Reeling, Mr. Jones tucks into the corner, but it seems he’s just playing possum. As his opponent moves in for the kill, Mr. Jones gives him a vicious kick to the chest and wins the match. Maria Sciullo: msciullo@post-gazette.com or @MariaSciulloPG.